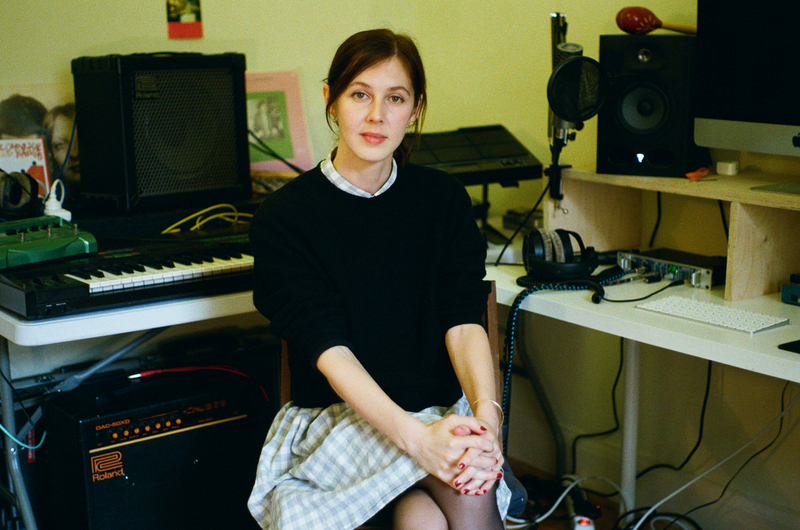 Inspired by the spare instrumentation of post-punk and revelling in ideas of voyeurism and ambiguity, Carla dal Forno’s song craft invites varied interpretation. From Blackest Ever Black to her own Kallista Records, dal Forno tells James Hammond about the independent spirit that underpins her work. 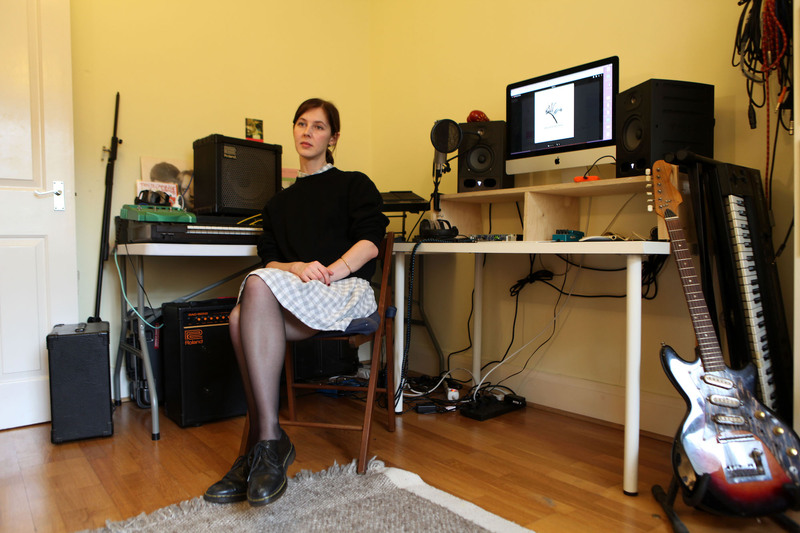 Steeped in a love of post-punk, the tradition of home studio recording, and an exploration of alluring sonorities, Carla dal Forno’s solo releases (in tandem with her excellent NTS radio show) evoke an obfuscated soundworld that lets her voice move as deftly through the shadows, as it does into the foreground. Having released a brace of EPs and her debut album on Blackest Ever Black, the Australian multi-instrumentalist and composer is launching her own label Kallista Records next month with the release of new single ‘So Much Better’ on 7″ vinyl – a format close to dal Forno’s heart. Ahead of her performance at Re-textured Festival, dal Forno gives us an insight into her creative process, and a relationship with live and recorded music that has taken her from Melbourne to Berlin, and more recently, to her current base in London. 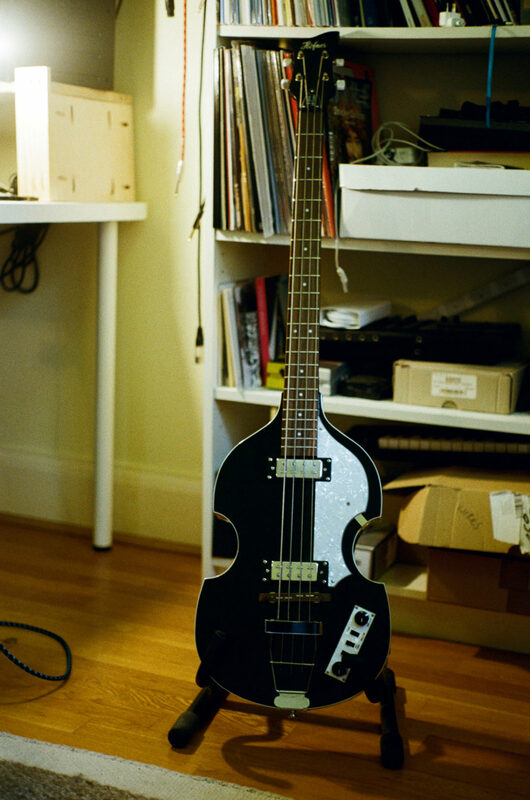 How did you first get involved with writing and recording music in Melbourne? There was lots of space in Melbourne – everybody’s lounges were big enough to record and jam in. With that came lots of opportunities to play shows and play with other people. I started out writing music with my friends Micky Zulicki and Pat Breen. Itt was only a matter of weeks before we got a 4-track out and recorded some songs in my lounge and sent them to a contact of Mickey’s at Quemada records. They wanted to put 2 tracks out on a 7”, so it was very quick for me in that it only took a couple of months from when I’d actually sat down and written a song, to someone being prepared to put it out on a physical format. It was incredibly helpful at the outset that a label was accessible, and people were already engaging with what I was making. Your relationship with the Blackest Ever Black label seemed a very natural one from the outset – how did you get to know them? Initially from their mixes on NTS radio – my music taste at the time wasn’t particularly varied, I wasn’t listening to dance music or techno or anything like that. These Blackest Ever Black shows came as a mixture that I found really engaging and inspiring. They were also releasing lo-fi things like Gareth Williams’ and Marie Curie’s album Flaming Tunes which is one of my all-time favourite records. Me and my bandmate from Tarcar just felt like our music might fit in with them. We emailed with some material and it went on from there. When I moved to Berlin – where Kiran [Sande, founder of BEB] was based – working with him just made for a really comfortable fit when I started releasing my solo material. What typically informs your creative process? Feeling like there’s enough time is very important to my creative process – [to have] nothing on the horizon that’s going to interrupt or distract. I try and keep my afternoons free when I’m at home, and when I’m recording. I really like to feel like I have a solid 7 or 8 hours where I can relax and then get into it. Touring comes purely as a distraction in terms of informing the writing process. I know some people can accommodate both and write material while they’re away, but I’m not able to at all. I really need solitude, and space and time, to sink into the studio and feel ready to write and record. Your latest single ‘So Much Better’ takes another step towards directness in your lyrics. How do you approach the idea of what you give and hold back from your audience? I would never want to say too much about it, as I think the beauty of songs, and art, is not knowing the complete story and how they came about. There’s often a starting point in real life, but lyrics are so tricky that I’m not opposed to the idea that you can invent, lie and fake your way to find something that sounds good. I wouldn’t say all my songs are reflective of anecdotal song writing, but ‘So Much Better’ just kind of went that way. To be honest, when I started writing this song, I didn’t know if it was going to be a song. In some ways, I had to trick myself that it was a bit of a joke that I was writing these lyrics down, and at the end of the process I’d come to really stand by it, and I was very happy with how it turned out. With your first solo release coming on 7” vinyl and now the inauguration of your new label coming on the same format. Is there anything in particular you like about that way of releasing your music? As with all vinyl, it’s nice having a physical object, and a more complete way to bring something into the world – particularly with the artwork and design. 7”s don’t really make much sense in today’s market, as you’re not really going to make any money from releasing a 7”, and there are a lot of people that think you should just release 12”s. Personally, I really like the idea of the small format single, then stepping it up to a bigger format for the album. Tell us a little about Kallista records. The name Kallista is a suburb near where I spent part of my childhood – it’s a place that’s out in the hills with a lot of greenery and nature. I’m a solo artist, so working in an independent way and having a vehicle for my music feels very natural to me. A a big draw card is that I’ll be releasing my music on my terms and when I’m ready to. It’s a DIY label, and DIY is something I stand behind quite firmly – as an ethos as well as a sound. 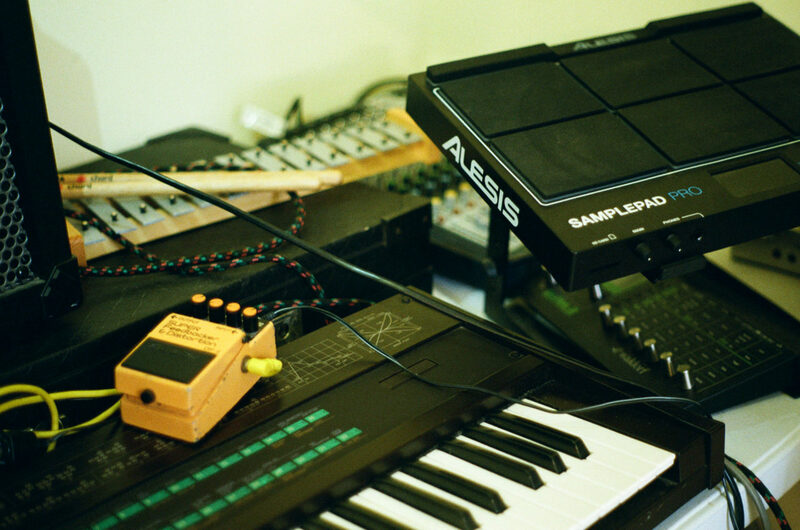 Your music is often associated with a sparing use of it parts and a minimalistic approach. In terms of production what are some key influences for you in that realm? A lot of post-punk. So many bands have that aesthetic, but Fall of Saigon come to mind in particular – they’re a band that I was listening to when I started writing my own material. They just had a vocal and a bass hook, synth and a really simple drum beat. When I started, I didn’t have many ideas about what I wanted my music to sound like, but I did know that I wanted my music to sound minimal, and to have minimal sound sources in there. I get very annoyed by music that is stuffed full of different sounds, overlaying and competing with each other, I find it… unnecessary. What’s the difference between the equipment you use when recording and playing live? Well I only sing and play bass guitar live, and I use a sampler to recreate some of my studio sounds. I don’t use a sampler at all when I’m recording. I find a lot of my sounds on two synths, in particular on a DX7 and the Roland D50. I have phone apps I like for beats, I’ll plug my phone into the amp or through pedals and record loops of drum beats I’ve made on my phone, and then sometimes I’ll process it further on the computer. In terms of pedals, I have a distortion pedal and a Line 6 delay modeller that I really like. You’re playing the first Re-textured festival in London this month. How do you approach the arena of playing live, is it a place where you feel comfortable? When I started playing live it was a bit of a learning curve finding a way to take songs that had been written alone in my home studio into a live setting. It took some time, but now I feel more confident sharing the stories of the songs with a live audience. It brings them to life in a whole other way. 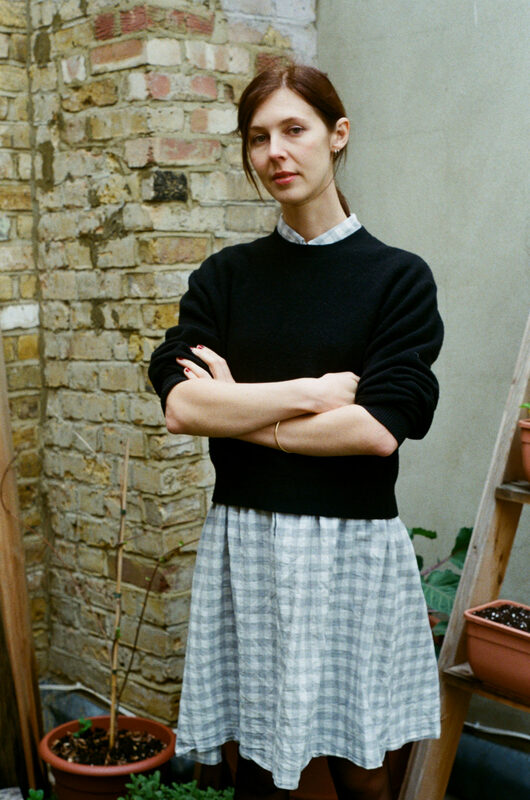 Carla dal Forno plays Re-textured Festival on 30th March. Head here for more info.